It’s that time of year again when you begin to see the supplies and seed packets show up in your local garden centers, so you can get started on your garden beds. 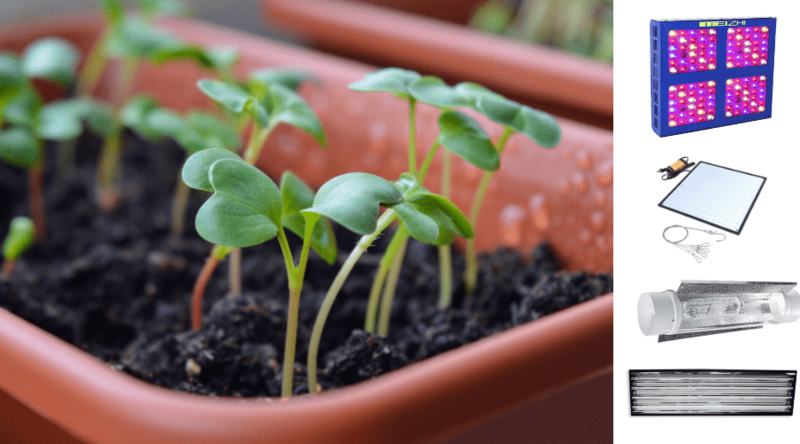 Although most people depend upon their windows to provide the light needed to get their seedlings started, early plant growth stages actually require warmer spectral wavelengths for the most effective vegetative support. Since most growing zones do not experience these natural light wavelengths until much closer to the summer solstice, it is beneficial to your harvest to transplant healthy young seedlings that you begin early in the spring. The support of a grow light ensures your plants receive the correct light from the start so this transition is smooth, and our best grow lights for seedlings reviews can help get you start in the right direction. You can, of course, apply this same principle to any seedlings of any species you choose to grow. Why Would I Want A Grow Light for Seedlings? What Spectrums of Light Do Seedlings Need? 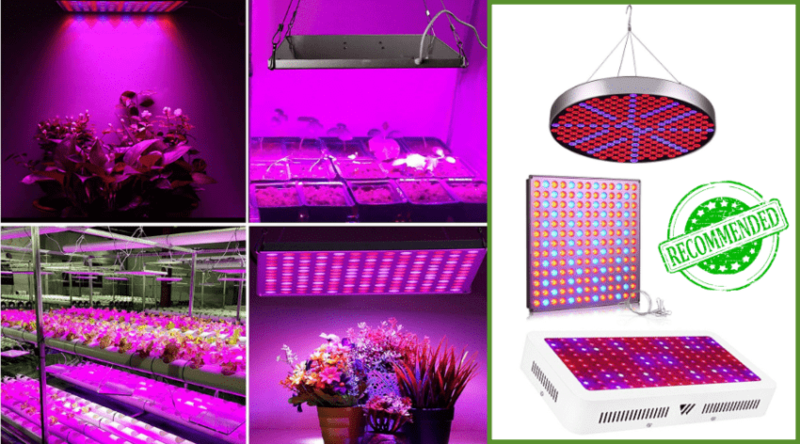 Which Is the Best Grow Light for Your Seedlings? Grow lights mimic the light wavelengths created by the sun to support plant growth. Light wavelengths provide the energy and temperatures needed for plants to grow and produce. 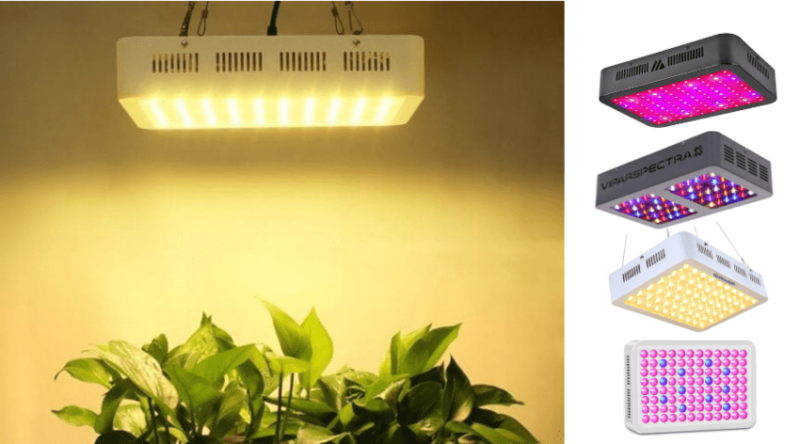 They come in a variety of different set-ups to provide specific spectral lights to your plants depending on the growth stages you need to support. Grow lights synthetically create the blue and red spectral wavelengths plants need for photosynthesis to take place. This is the chemical process that converts light energy into plant energy in order to grow healthy plants. 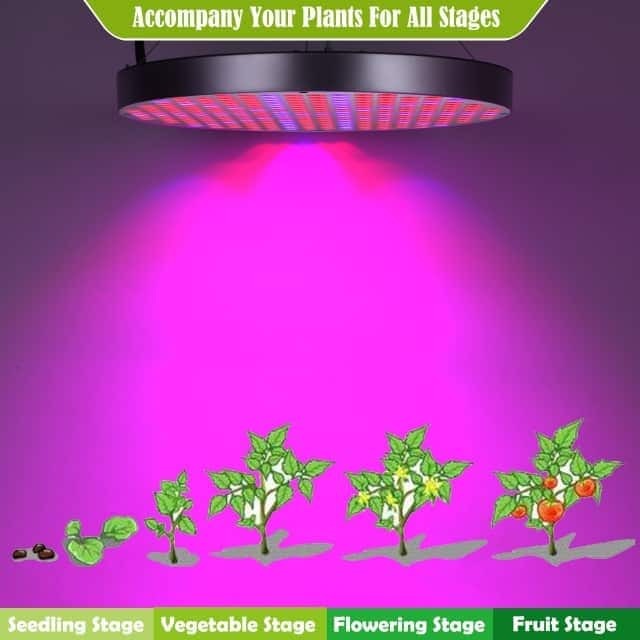 Red lights are found in the longer, cooler wavelengths which support bloom stages of plants. The blue lights are in the shorter, warmer wavelengths that promote vegetative stage. Seedlings need both even lighting and proper temperatures to ensure vigorous, strong growth. Spring months are often unpredictable. Your home may have varying degrees of sunlight and temperatures that can affect growth rates of plants. One trick is to keep your seeds facing the window so they get the length of daylight they need. With a grow light you can grow anywhere without worry of seasonal changes or window placements. 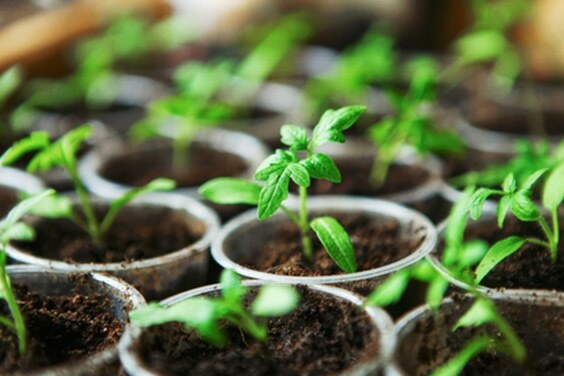 You also can set up a room, or a small tent to support your seedlings as they grow- and deter your pets (or children) from making a mess of your young plants. The light spectrum is made up of visible and non-visible colors of light that emit various wavelengths measured by the temperature they provide. 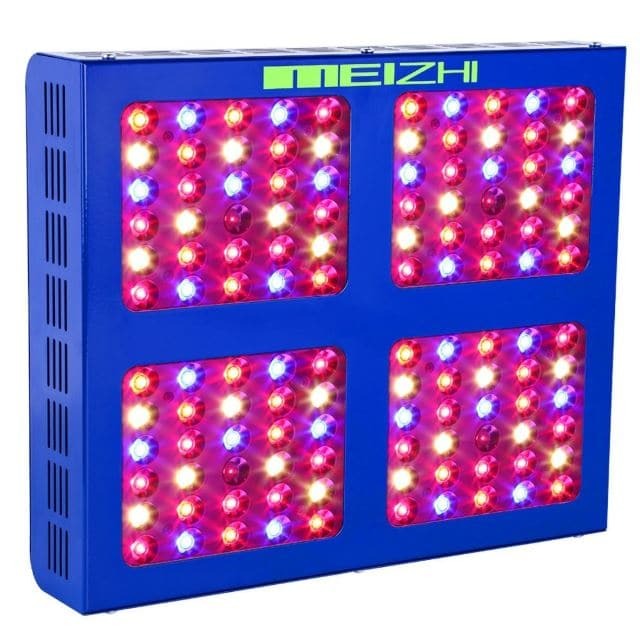 As mentioned, blue light wavelengths are utilized best by growing and maturing plants in vegetative stages of growth, and there are many lights available that are more specific to this side of the spectrum. Of course, all stages of growth can benefit from a full spectrum exposure but be aware of young, maturing plants. They will use more blue wavelengths than others. 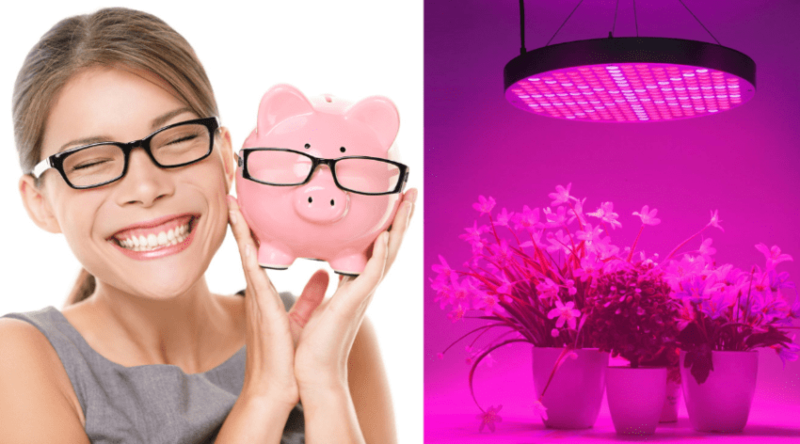 They crave longer exposure to lights, so when choosing a grow light, be sure to pick one that will run for up to 18 hours a day without overheating or burning out. There are certain types of lights that provide the spectral light your plant needs, but since seedlings need more blue light than any other, it’s best you choose one that has a high blue light output. When considering full spectral lights, you will want to make sure it has a high blue to red ratio. Another detail to consider is the types of plants you are growing, their specific needs, and rate of growth despite many following a similar formula of growth. 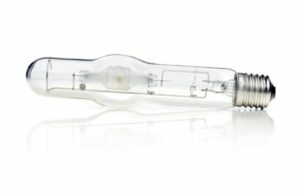 HID bulbs are defined by how they are lit from the combustion of gas within the chamber when it is sparked by the arcing of electrodes. 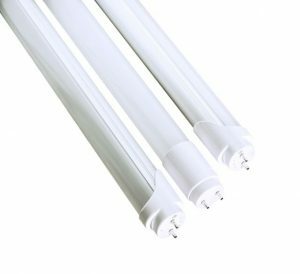 These require ballasts to help regulate the electricity to the bulb so it doesn’t burn out right away. They are almost always set within a reflective hood to concentrate the light where needed. Different types of HID bulbs provide different colors, but all are considered dependable, and efficient choices. MH bulbs produce stronger blue lighting and emit a blueish white looking light. They are popular with seedlings, early growth stages and support lighting for non-blooming plants. These are full spectrum bulbs that produce both red and blue lighting but are also considered a strong choice for early growth. 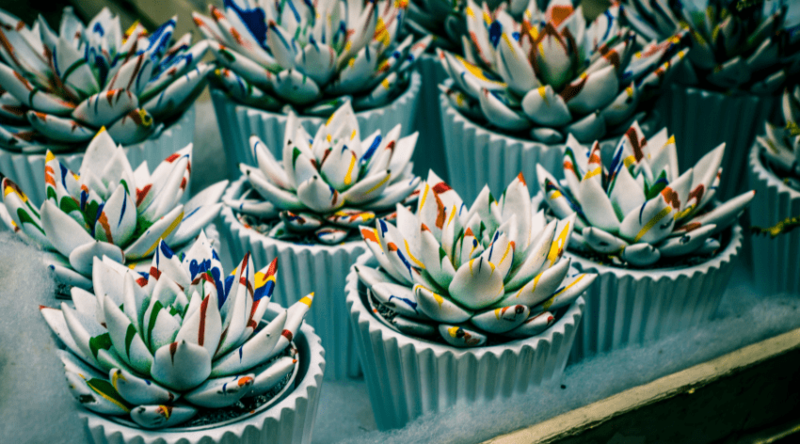 Because of the ceramic element, they do warm quickly and need to be cooled correctly. This is a fairly new lighting choice and works with a 2-ended bulb similar to a fluorescent. It is more specific to blue wavelengths and is considered a powerful choice for plants to utilize. These are long, double-ended bulbs that produce strong blue spectrums and provide the warmer wavelengths seedlings and young plants crave. They also are very efficient and burn cool- making them ideal for small areas. 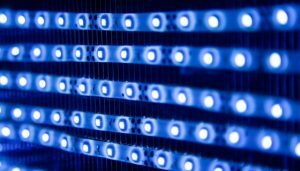 Although LED bulbs can be customized, most commercial panels include a selection of both red and blue bulbs to make them a full spectrum choice. They are very efficient, burn cool, and are often compact and easy to use. This is a new technology that is similar to CMH bulbs but does not require an ignition of the gas through electrodes. These are bright ‘white’ bulbs and provide what is considered the closest to sunlight any grow light has offered. They are powerful but somewhat limited on the market due to how new they are. Seedlings are in the most delicate stage of growth and deserve the best support you can provide to them. There are a few things you may want to consider before you make a purchase to ensure you get both what you are comfortable with, and what your plants need. How much space is your grow? Every light has its own footprint within which the whole plant receives the full wavelength of light being offered. Types of lights, sizes, and strengths of each determine this, so you will want o make sure you are covering the entire space within which you are placing your seedlings. What plants do you need to support? Do a little research about the types of plants you are trying to get started. Most prefer high levels of blue wavelengths as seedlings but may also benefit from additional sources of light as they grow. This is especially true of tropical and hybrids plants. Will you need your light for other purposes? If you are looking for a light to support more than just seedling starting and growth, and also would like to support bloom and production, you may want to consider a full spectrum choice. These allow you to grow a season’s worth of produce all within the comfort of the indoors. This is nice for a fresh taste through the winter, or if you live in an area with a short growing season. There are many different light options from which you can choose to support your seedling growth. Full spectrum and blue wavelengths can be found in a variety of different setups, and we’ve highlighted a few routes you can take to ensure you are getting what you need below. 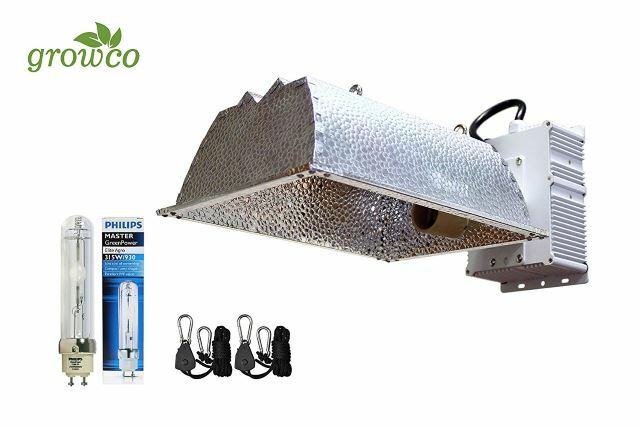 This ceramic metal halide grow kit is everything you need to get your seedlings started. 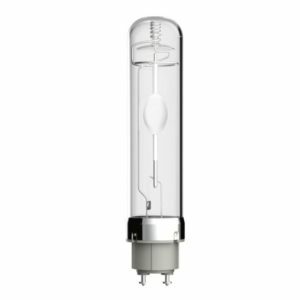 A CMH bulb includes a full spectrum light output, and so you can continue to use this system to take your plants to the next stages of growth, or use it to finish off other plants to production that you may need. A highly efficient aluminum hood is paired with a low-frequency ballast to provide a light source closely resembling sunlight. Increased watt efficiency helps support a high-quality source with a low power draw. They also do not need to be cooled and can air cool effectively enough to provide a cooler running system overall. This makes them ideal for smaller spaces as well. It comes with a 240-volt cord, but a 120 volt can be purchased for a minimal price. Anyone who needs seedling, mature growth and production support should consider a CMH system. This is a very efficient setup and is used in closed spaces without fear of overheating. This is another full system set up that can either run a metal halide bulb or high sodium pressure bulb. It comes with both in order to provide for all stages of growth. 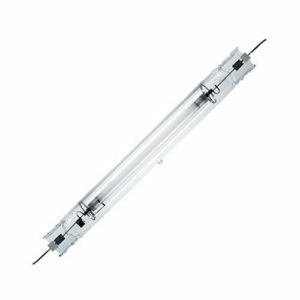 A dimmable ballast, hangers, power cords, and a timer are all part of this package to support the cool tube, a winged reflector houses your bulb and provides concentrated light to your plants. MH and HPS bulbs are known for their heat output, so this is not suggested for more enclosed grows and does require a very well ventilated area. You can, however, easily hook it to an induct fan system to help with the cooling process. 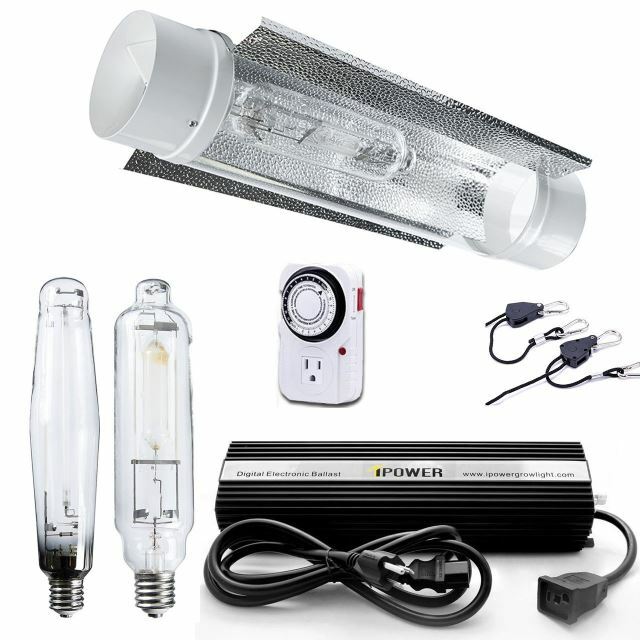 You can customize these kits to include 400w, 600w, or 1000w choices, as well as dual bulb designs to have both MH and HPS bulbs running at the same time if you have plants in various stages of growth. 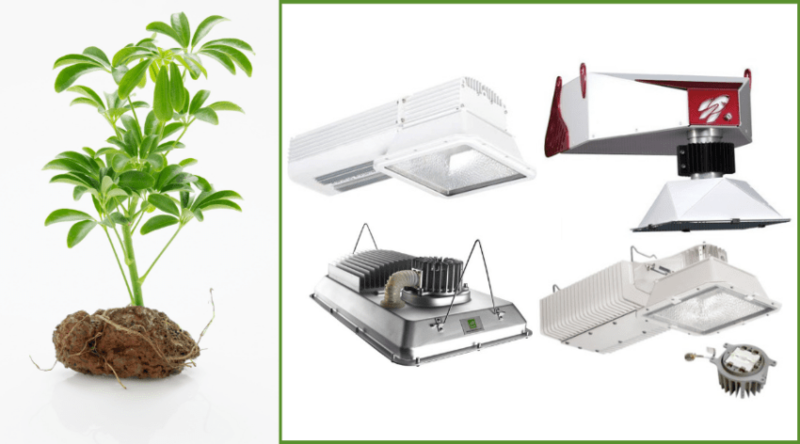 Anyone with a well-ventilated area would do well to consider these lights as they are very powerful and specific to your plant’s growth stage. Since these types of systems can support various bulb types they make them perfect for other needs as well. Fluorescent lighting requires a two ended mounting setup, so this is a panel design that holds 4, 4 foot long bulbs. At 54 watts each, you get a total 216-watt output in the 6400k temperature range to support seedling and early plant growth. With a low heat emission, you can set this up close to your seedlings without worry of burn to ensure they get the full power of the light as they grow. Fluorescent lighting systems are especially liked by nursery growers since they cover a larger area, and can be daisy-chained together for even larger area coverage at an effective run cost. Yield Lab is known for their innovative, quality designs, and this panel is no exception. Perfect to start seedlings under and bring them close to blooming stages, this is an efficient and affordable way to add the blue light your young seedlings need to vigorous, early growth and strong roots. Full spectrum LEDs are such an efficient, popular pick we had to add one in here. 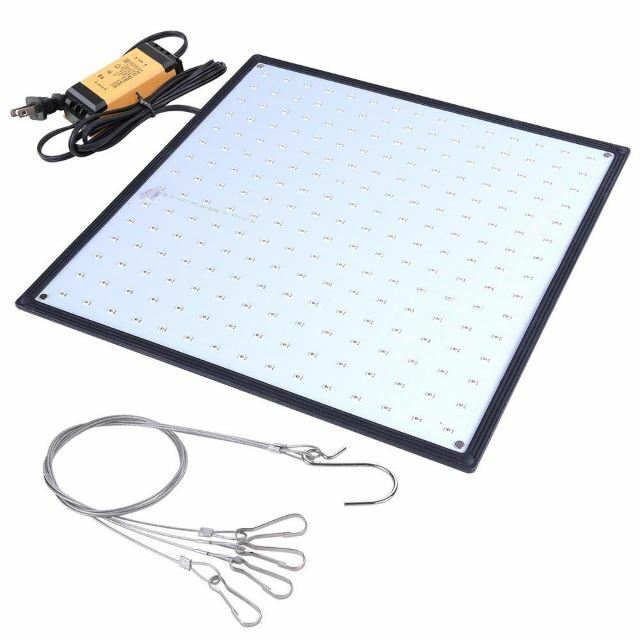 Available in 300 to 1200 watt panel designs, these adopt a 120-degree reflector to ensure light is concentrated on your plants for maximum energy use. They also include a dual switch that you can toggle specifically for veg or blooming stages for further energy saving perks. These provide up to 7500k – which is more than ideal for growing seedlings, and includes 2 fast speed cooling fans so you can use in it more enclosed spaces without fear of heat damage to your plants, or overheating of the panel. It also comes with a hanging kit. LED panels are very popular with intro growers and professionals alike, and this system makes it easy to use with little to no setup time. Simply hang, plug, and play! If you need (or may want) a full spectrum option, this is worth considering. 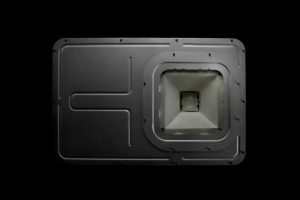 It isn’t every day you find a full blue spectrum LED panel specific to vegetative growth stages, but Yescom has created a series of super thin, easy to hang square panels that are customized for exactly what you need. You can easily add blue & white, red, multi-colored, and red & blue panels alongside these depending on your plant’s stages of growth. Each panel comes with a hanging kit and cord and is easy to mount and use out of the box. Their 1/5th thickness is not conducive to a fan system, but they do not generate much heat as they are well air cooled. These work best in more enclosed places to help concentrate the lights. For those who like LEDs, but want a more specific light spectrum, these are awesome panels to consider for early plant growth. With and red panel choices, you can always add what you need later on. 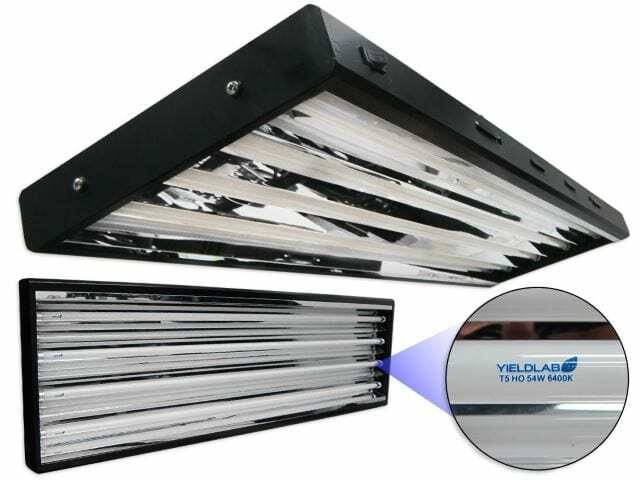 Although all of the choices we’ve provided are amongst the most popular for seedling starts, our top pick specific to seedlings and vegetative support is the Yield Lab 54w T5 Four Bulb Fluorescent Grow Light Panel. Tried and true, fluorescent lighting is a go-to for many experienced growers who have the space that is needed for them. Dependable, long-lasting, and cool running, they work well in a variety room set-ups. They may take up space, but their ease of mounting (horizontal and vertical) make up for it. Plus, if you really don’t have space, we have given you a few other options to work just about anywhere you can dream up. We’d love to hear about your favorites from the few we’ve picked, and get the chance to answer any questions you may have. Let us know in the comments below. As always, please share!